Tim Light sent me this undated photo, which he probably scanned from a newspaper or magazine, suggesting that I post it as a quiz question. Trouble is I don’t know how on earth I am going to pick the winner seeing that I haven’t the faintest idea where is this place. The only hint comes from the sign which says, No. 2, Tanjong Pagar to Geylang. In my book Good Morning Yesterday, I wrote about an itinerant service from the kampong days known as Kan Te Ko. 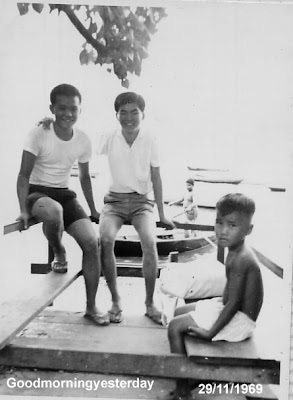 I am reminded of this interesting profession when I saw a photo by Andy MacDonald posted at Tom O’brien’s Memories of Singapore. So far I have told you about itinerant services provided by food vendors, tinkers and koyok sellers who visited our kampong. But there is one more which is sure to tickle you, and that is the itinerant farmer who provided a service called ‘kan te ko’. Kan te ko which literally means, “to lead (male) pig”, is best translated as stud service. Basically this man – let’s called him KTK for short - will visit the pig farms with his ‘stud’ and impregnate the sows for a fee of $3 per sow. Apparently results were guaranteed; otherwise they would be happy (not sure about the poor animal though) to do a repeat job. 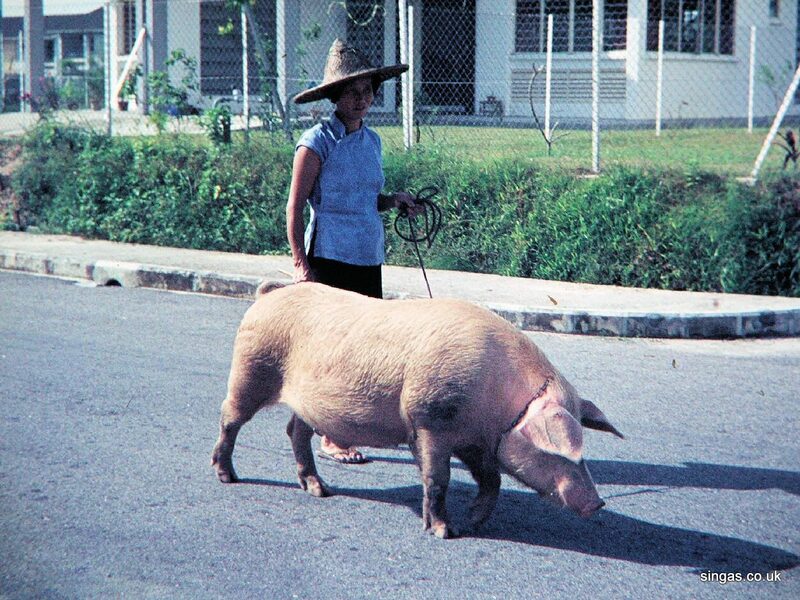 Farmers were also advised to feed their sows with eggs to increase the chance of pregnancies. (According to my friend James Seah) Whenever the KTK arrived at the village to provide this ‘baby-making service’, all the young girls who were unmarried were not allowed to watch. The curious girls were told not to ask why the animals were making so much noise. My friend Yeo Hong Eng who grew up in a farm in Kampong Tanah Merah Kechil shared this interesting information with me. "My father used to rear several sows. 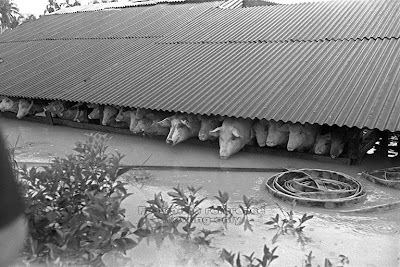 When the sows were ‘in heat’, they would become agitated and want to break out of their sty. My father would send for the KTK. This farmer would tie a light rope on the shoulder of the boar and drive him with a small stick to our pig sty. There consummation would take place. Sometimes the KTK had a hard time trying to get the pig to walk as directed. When passing by a muddy pool, it would wallow in the mud first in spite of coaxing and beatings. It would only get up when it was satisfied with the bath. A bigger boar could be so stout and strong that instead of the farmer dragging the boar, it was the boar that dragged the farmer.Farmers often met and shared their experiences. Some lamented having so many sows and having to spend a fortune for the stud service. But the ‘service provider’ also had his business risks. Sometimes the sow had a false alarm and refused to consummate or the heat was over and the sow was not in the mood. In such cases the sow owner had to pay a reduced fee of $1.00." Of course the KTK was a job that no woman would not want to take up. But sometimes when the man of the house was unavailable or sick, she had no choice but to stand in. 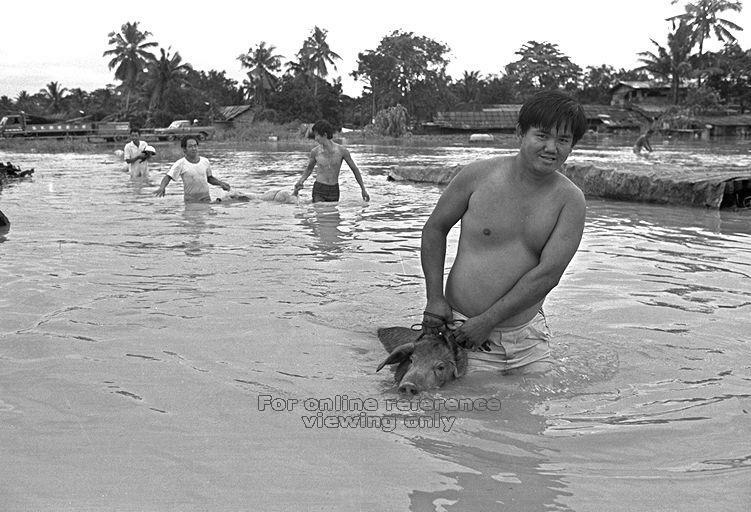 Like the night soil carrier, this profession became extinct in Singapore. After the Primary Production Department was set up, technicians bearing syringes of Berkshire sperm from Australia took over the job. Subsequently, pig rearing was disallowed in Singapore. 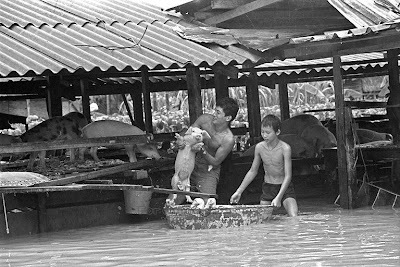 Reader Lye Khuen Way’s comment about seeing the carcasses of drowned pigs in the Alexandra Canal, during the floods of the 1960s, reminds me of some photos that I have seen at the National Archives’ Picas website. Dated 03/12/1978, these photos describe the plight of pig farmers at Braddell Road, which was quite near to the kampong I grew up in. These photos come with the following description. 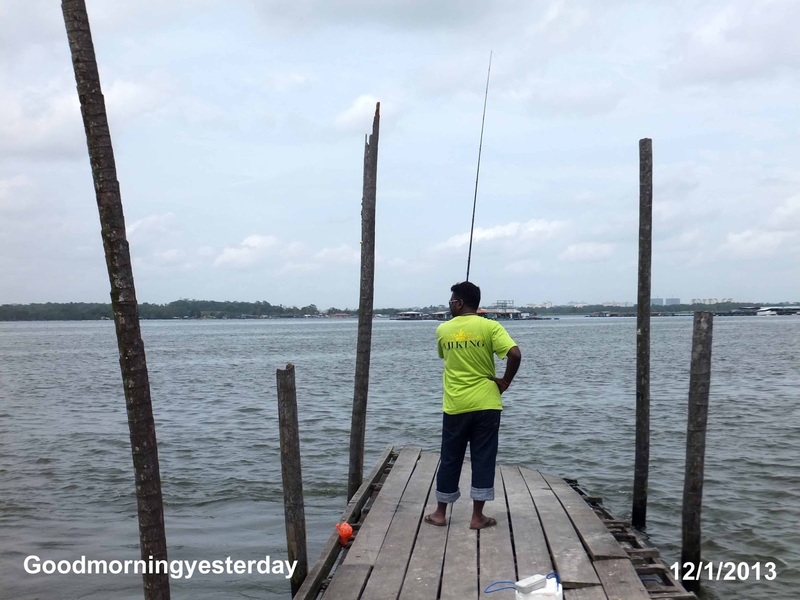 “The rains held off as flood waters receded in all parts of Singapore. 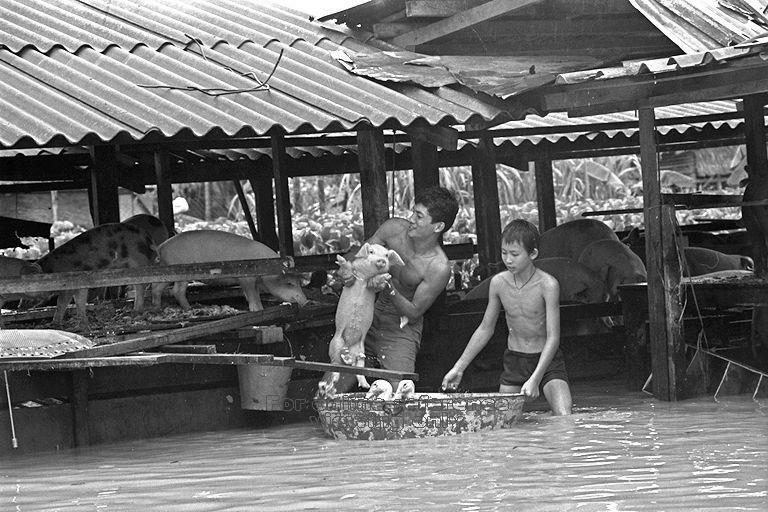 The flood had caused heavy damage to property, livestock and poultry. 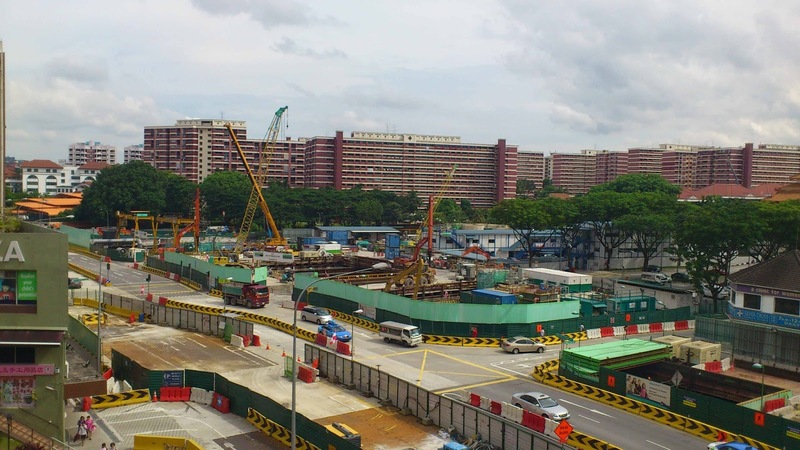 The worst hit area was the farm belt stretching across Woodlands, Braddell Road, Potong Pasir and Changi. At least 2,000 pigs and a large number of poultry have perished as flood waters swollen by heavy rain, swirled through the farms on Saturday and Sunday morning. Picture shows pigs stoically await rescue in their pens as rising water level slowly creeps up to their snouts. They are the luckier ones to be rescued although they will probably end up in a frying pan. Scores of others drowned in the floods." The first time I visited Lim Chu Kang Jetty was on 29 November 1969. My friend Simon Chu and I had cycled to this place from my home in Lorong Kinchir, off Lorong Chuan. 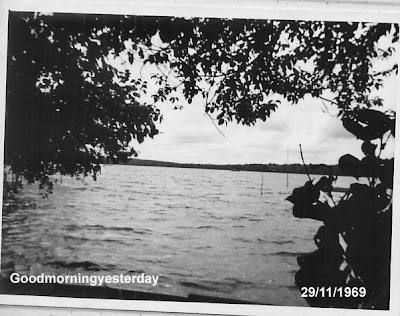 We started at 8.30 in the morning and arrived at this jetty at around noon time where we rested and had lunch. I took 2 photos of this place. This bicycle trip was a memorable experience. In fact, it was the first thing I wrote about when I started this blog. 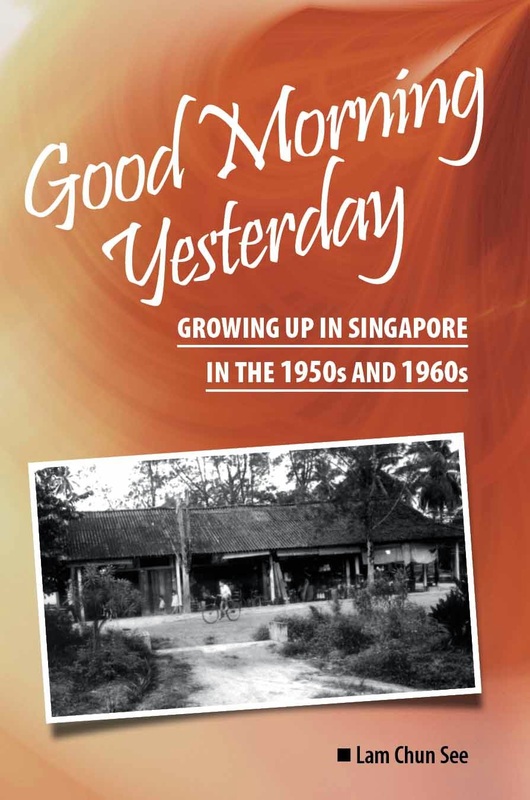 I have also included it towards the end of my book Good Morning Yesterday as I rounded up my memories of growing up in Singapore in the 1950s and 1960s. Here is an excerpt from page 182. It summarizes my thoughts about the places that we saw that day, and the Singapore that I dearly miss. Recently I visited this Lim Chu Kang jetty with my wife and my friends Peter Chan and James Tann. Below are two photos taken that day. 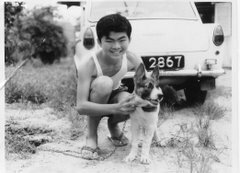 Thanks to my friend Stephen Lai for contributing this mid-1960s photo. The first person to identify this place wins a copy of my book, Good Morning Yesterday. Just post your answer in the comments section. Sorry; only local readers can win ….. for obvious reason. 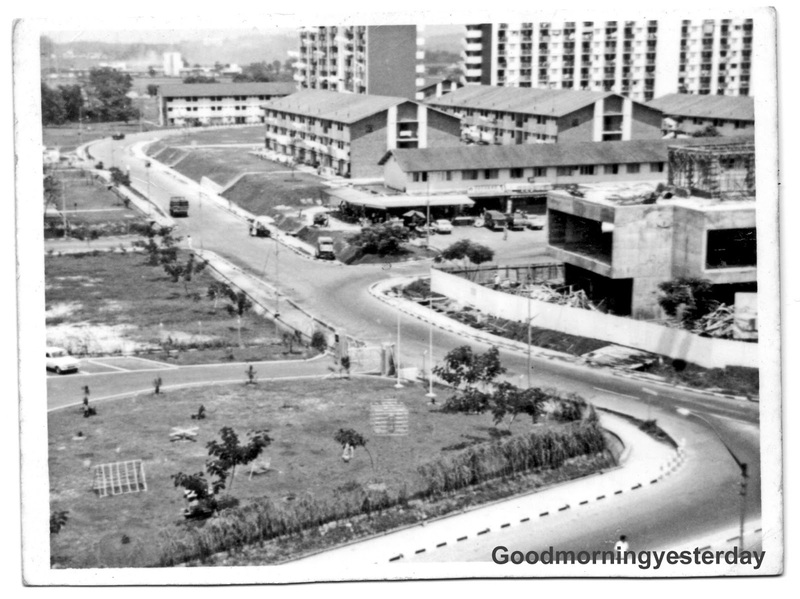 I know the general location of this place but am not 100% confident of the street/building. Even Stephen could not recall the exact location. 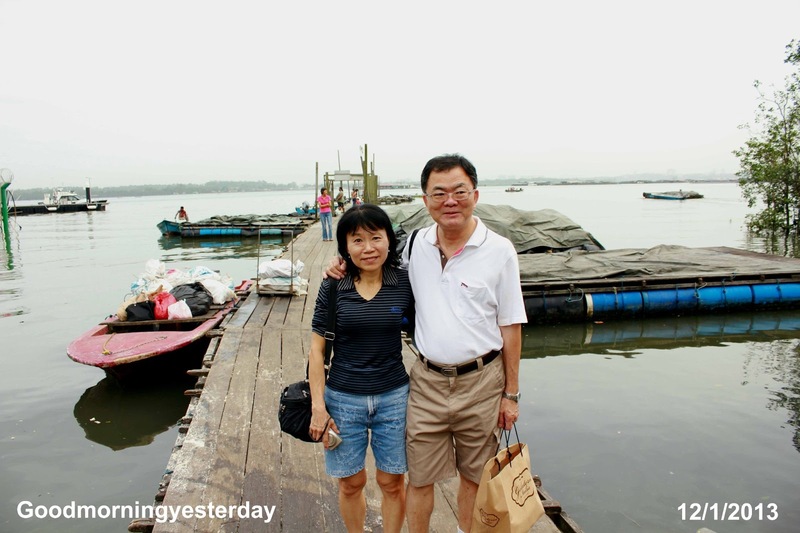 Exactly 6 years ago, our then Minister for National Development, Mr Mah Bow Tan shocked Singaporeans with the announcement that they were planning to increase our population to an unbelievable 6.5 million. After much protest and complaints, he clarified that the figure 6.5 million was “not a target; but a planning barometer”; giving us the impression that things were unlikely to become that bad. A few days ago, the government dropped another bombshell on Singaporeans; this time projecting that our population would reach 6.9 million by 2030. And guess what Mr Mah’s successor says. 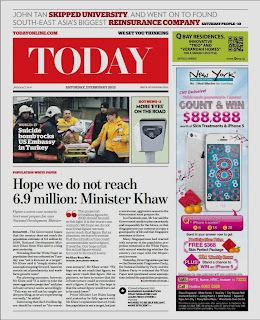 Writing in his blog, Minister Khaw Boon Wan clarified; “The projected 6.9 million figure by 2030 …. is the worst case scenario. We hope we do not reach that figure; we may never reach that figure. But as planners, we have to …. blah blah blah”. Well, fellow Singaporeans; you know what you should do? 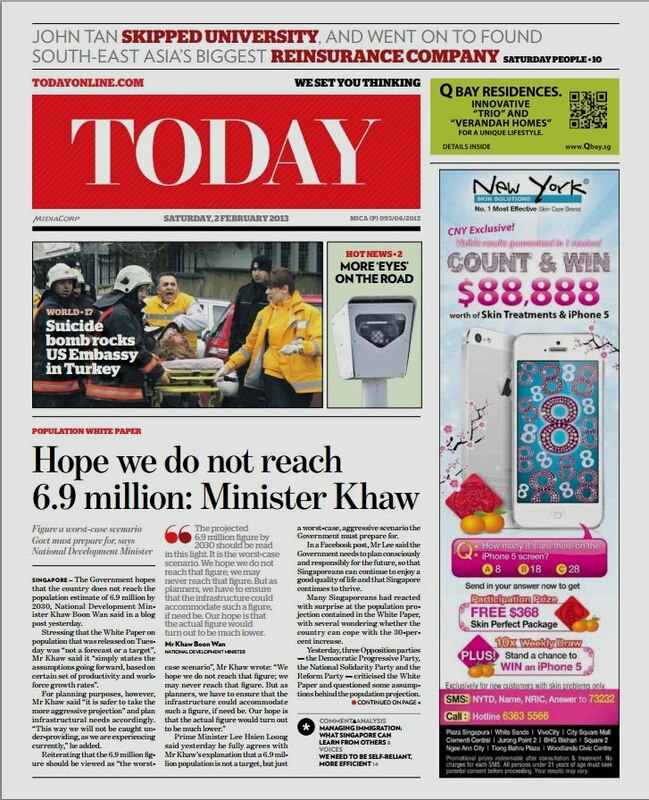 You’d better make sure Mr Khaw does not lose in the next election. Otherwise you are going to get another MND minister and the worster might get even worse. Some time ago, I wrote a blog piece jokingly suggesting that we change our name from the Lion City to the Crane City. Actually, I was lamenting the ugly fact that everywhere you turn in this country of ours, you find construction works and destruction of greenery. Of course, we all try to bear with it hoping in the back of our heads, that things would settle down. But with the publication of the government’s White Paper on Population, and the dreadful news that Singapore’s population could reach a suffocating 6.9 million, all such hopes have vanished. Crane City will apparently be a permanent label for this beautiful city I grew up in. I really would like to urge our leaders to consider lowering that figure to, say, 5.3 million. We are already bursting at the seams. 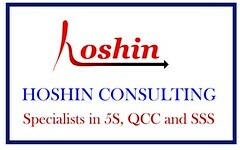 Please lah ..… Just dispel that option of a 6.9m scenario from your plans and go back to the drawing board. I have faith in you. 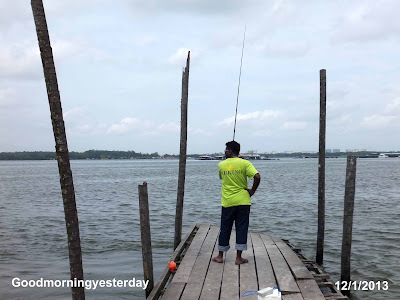 Frankly, I’d rather retire in some obscure town outside Singapore than to burden my children with another two decades of constant knocking down of perfectly good buildings, scrapping of cars that run perfectly, widening of roads everywhere; and noise and crowds and litter everywhere they turn. I want “leave them a blue sky”. PS – I fully support the idea to have a referendum on this matter. I want to have a say.